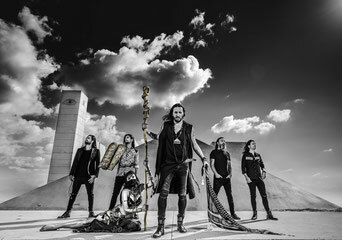 ORPHANED LAND are starting their long journey from Isreal to Loreley: since 1991 the sextet plays a beautiful mixture of doom metal and middle-eastern folk - successfully. ORPHANED LAND already played a lot of shows all around the globe and do not get tired of it. Thus, their sixth studio album "Unsung & Dead Messiahs" was released in 2018, including the fantastic and unique voice of Kobi Farhi.